Ok. Please stop what it is you are doing right now. Get off your phone or computer. Go find your shopping list. And add ‘Hatch Chiles’ to the list. While I thought these peppers were just sold in stores in the southwest, I have heard and seen reports of them being found as far away as Cleveland, OH. And freeze them after they’ve cooled down from their roasting experience. Then you’ll have green chiles for a while and you won’t need to buy any from the can. And you’ll have them to make this grilled cheese. Be warned: you might drool. You’ll definitely salivate a little more than you normally do when you have a grilled cheese because hatch chiles are spi.ceeeee. 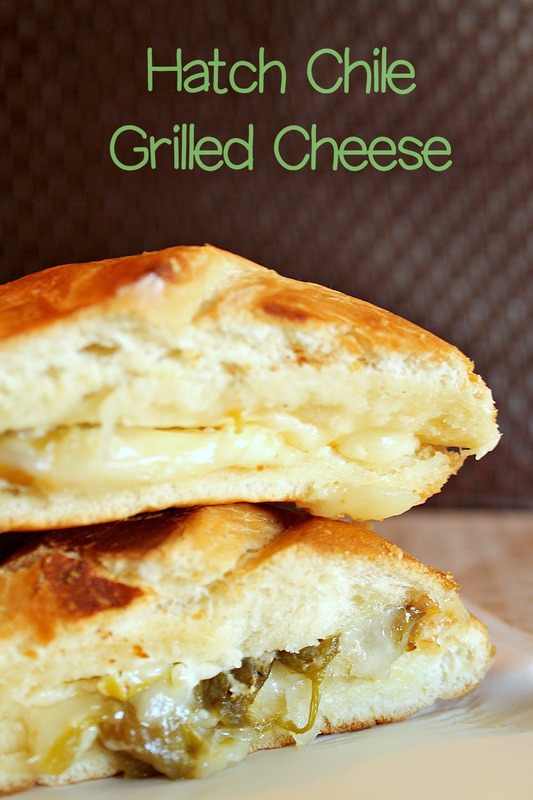 But the delicious creamy and smoky cheese slices will balance the spice perfectly in this grilled cheese. I dare you to try it. You won’t regret it. Split rolls in half, spread mayonnaise over inner surface of each half roll, and place face up on lined baking sheet. On top halves stack 1 slice each of provolone and Jarlsberg cheese. On bottom roll halves stack monterey jack cheese, and spread peppers evenly over the cheese. Bake for 4 – 6 minutes or just until cheese is melted. Assemble sandwiches and serve immediately. I live in Farmington, Michigan but had lived 24 years in New Mexico. 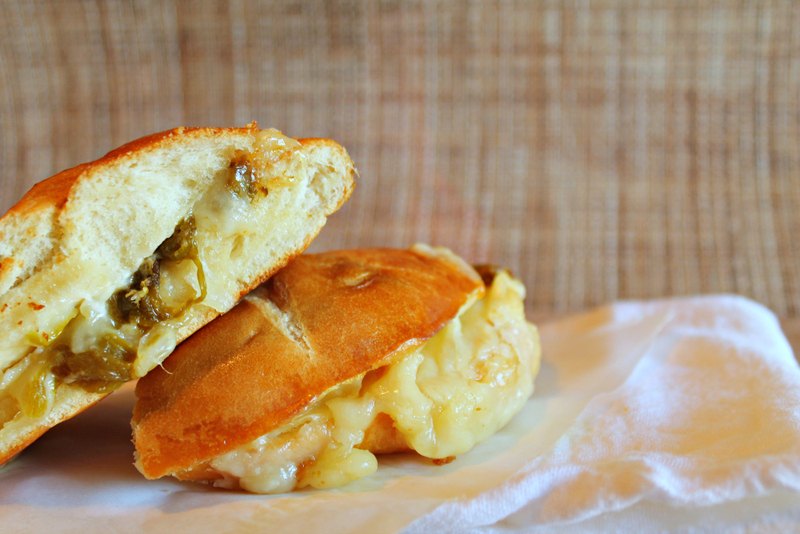 Other than Cleveland did you find Hatch chile anywhere closer? Maybe Toledo? The Bed Bath and Beyond near me has a section with Cost Plus items and they carry some Hatch canned or bottled items, but no substitute for the fresh.